Protects against corrosion and debris. Preservative based on rubber and plastic. Underseal agent can be sprayed without mist. No dripping. Fast drying. Can be painted over after approx. 8 hours at +20°C. As part of preparatory treatment remove old paint layers and rust and sand the substrate. The substrate must be clean, dry and free from grease. Warm the product to room temperature and shake the can well before use for 2-3 minutes from the time the mixing ball can be heard. The treatment temperature should lie between 15 and 25 °C. 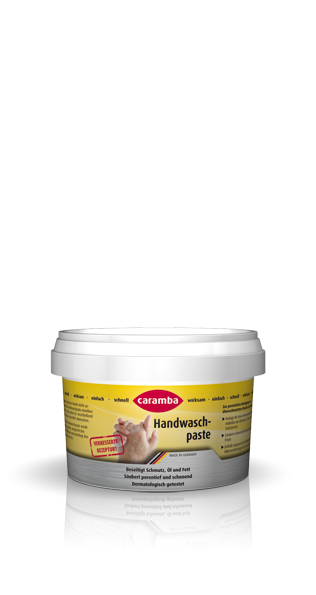 Apply Caramba underseal agent in several layers preferably uniformly in 2-3 crosswise motions (approx. 300-400 µm) at a distance of approx. 25-30 cm. Can be painted over with all paint system usually after 8 hours. The exact drying time depends on the ambient temperature, relative humidity and thickness of the layer. Turn the can upside down after use and spray the valve empty to clean it. Attention: Do not spray on engine, brake and exhaust parts as well as movable components.